So... I ended up coming home today from visiting my boyfriend's family. We were meant to stay until Tuesday but we had to come home to change our holiday plans. We were supposed to be going away on Thursday for 10 days but might need to change it to go sooner because my boyfriend will probably get called away for work soon after, and we need to go on holiday!!! Anyway, I have another one of my Dutch polishes to show you today! This one is so gorgeous and one I can't wait to wear again! It's from World Inspired Colours (W.I.C.) by Herome and the shade is called Bogota. 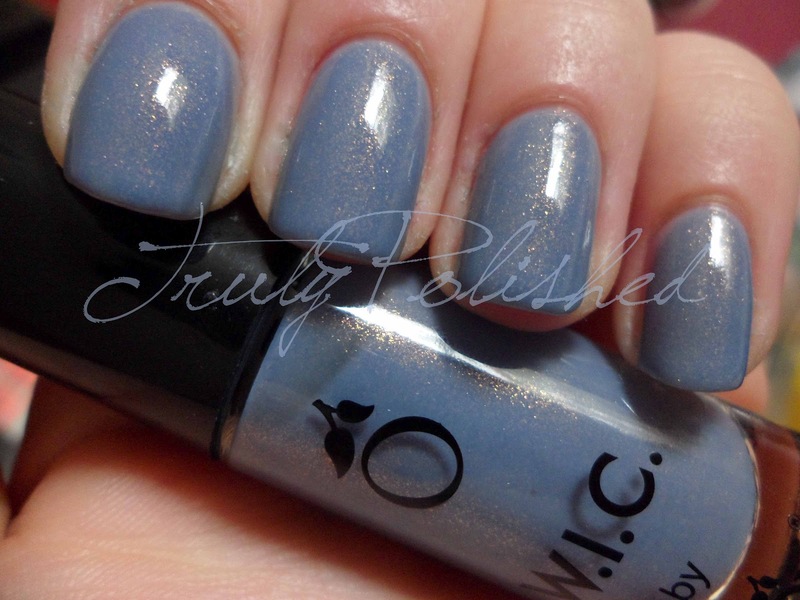 The polish is a greyed out lavender with a gold shimmer that looks like it could have a colour shift. You can't really see it through the base colour though so I'm not sure if I'm imagining it! I'd love to say the formula on this was amazing, but it wasn't, it was so sheer. Despite this, it was okay to apply if I left a minute or so between coats. I used four coats (yes, four!) for the photos below. It looks like I'm wearing Seche Vite on top but I'm not! This polish is super glossy!!! See the rest of the photos after the jump! I can't even put into words how much I love this polish! The colour is really similar to my bedroom walls when I was younger and I'm in love with the shimmer! Normally I have a three coat rule, but I think I'd break it for this beauty! I bought this for €6.95 in Douglas in the Netherlands, I'm not sure where else this brand is available!